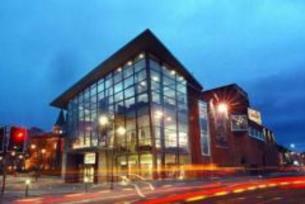 Cork Opera House serves its city and surrounding region as a 1000-seat municipal theatre offering audiences a world class programme of events across the performing arts. Cork Opera House serves its city and surrounding region as a 1000-seat municipal theatre offering audiences a world class programme of events across the performing arts: concerts, comedy, drama, musicals, contemporary and classical dance, family shows, the annual Christmas pantomime, and of course, opera. In addition to the main stage, the 100-seat Half Moon Theatre is home to a busy programme of live music gigs and small scale drama.